UTRGV women's basketball coach Lane Lord give instructions during basketball practice at UTRGV field house on Thursday ,Oct. 25, 2018, in Edinburg. 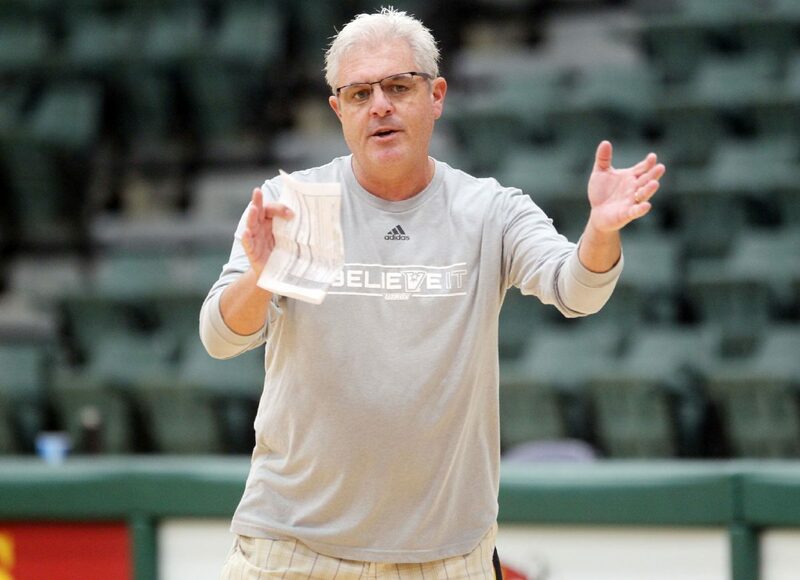 EDINBURG — A new skipper is at the helm of the UTRGV women’s basketball team. When the Vaqueros tip-off against Texas Lutheran at 7 p.m. Saturday at the UTRGV Fieldhouse, the Lane Lord era will begin. Lord replaces the winningest coach in program history, Larry Tidwell, who coached the team to its first winning seasons at the NCAA Division I level and two WAC Tournament finals. The new bench boss guided Division II institution Pittsburg State in Kansas for the past 11 years, taking the Gorillas to the national elite eight twice. Even though fans might be getting their first look at Lord, he’s been in the Rio Grande Valley since summer. UTRGV Idil Turk defends Quynne Huggins during basketball practice at UTRGV field house on Thursday ,Oct. 25, 2018, in Edinburg. 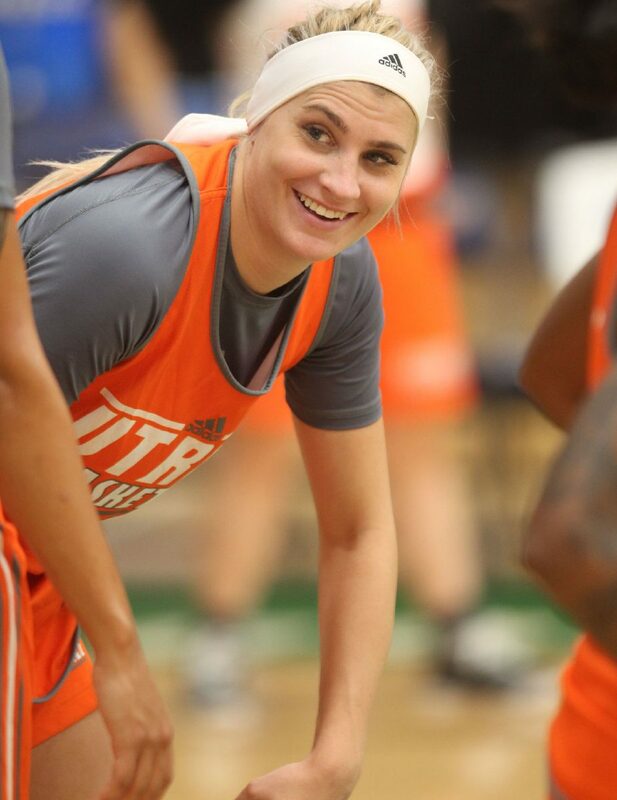 Madison Northcutt during basketball practice at UTRGV field house on Thursday ,Oct. 25, 2018, in Edinburg. NIchelle Hyman during basketball practice at UTRGV field house on Thursday ,Oct. 25, 2018, in Edinburg. 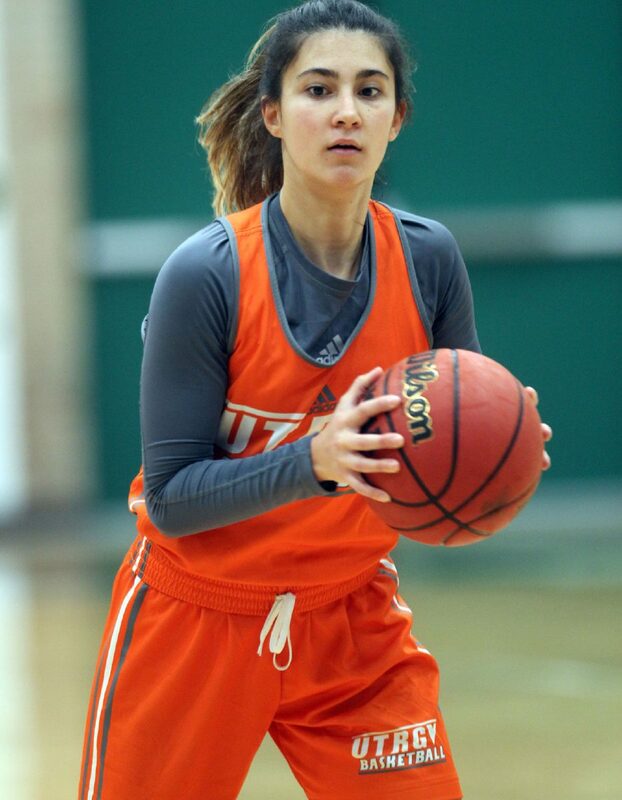 UTRGV Idil Turk during basketball practice at UTRGV field house on Thursday ,Oct. 25, 2018, in Edinburg. 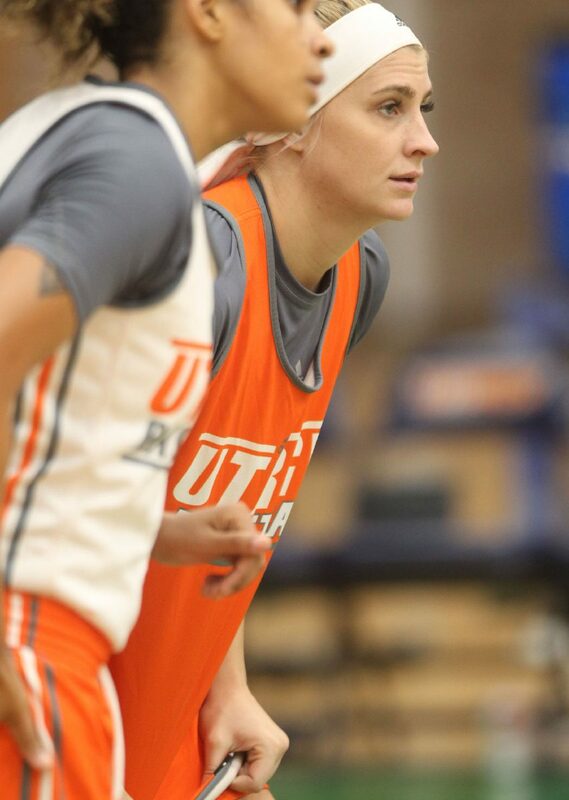 Quynne Huggins, UTRGV’s leading scorer a season ago, is in a completely different place than a year ago. The Arizona native was cleared to play just before the season after a battle with thyroid cancer that included quarantine, radioactive iodine pills and extreme weight loss. The 5-foot-11 guard, who had 10.2 points per game in the season after a turbulent offseason, is getting a running start this year. “I was able to come back down here for the summer session and get a head start on lifting,” Huggins said. 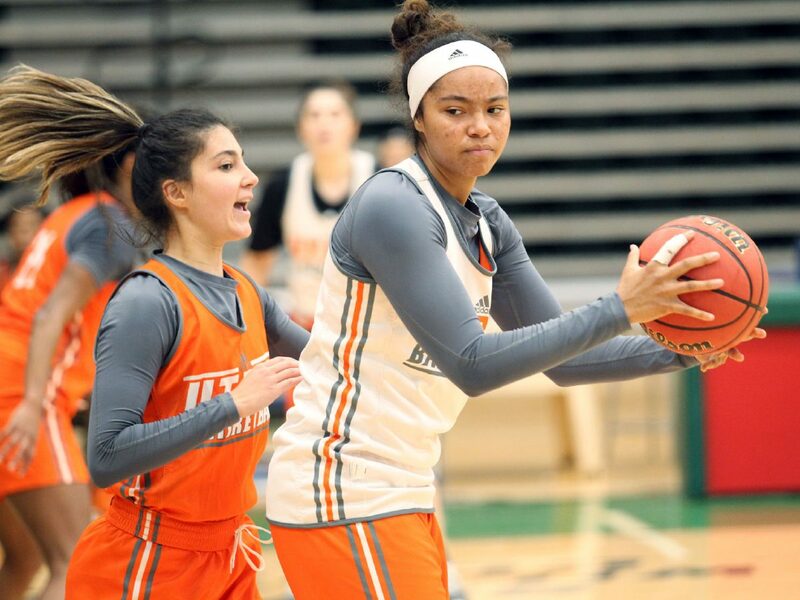 The senior wasn’t fazed by adjusting to a new coach, she’s had different coaches each of her collegiate seasons after stops at Utah Valley as a freshman and Mesa Community College as a sophomore. The offense is hoping to rely on movement and speed to negate a lack of height. Ruth Nwokora, Krisynthia Sampson and Makaela Mosley are both 6-feet tall and represent the tallest Vaqueros. 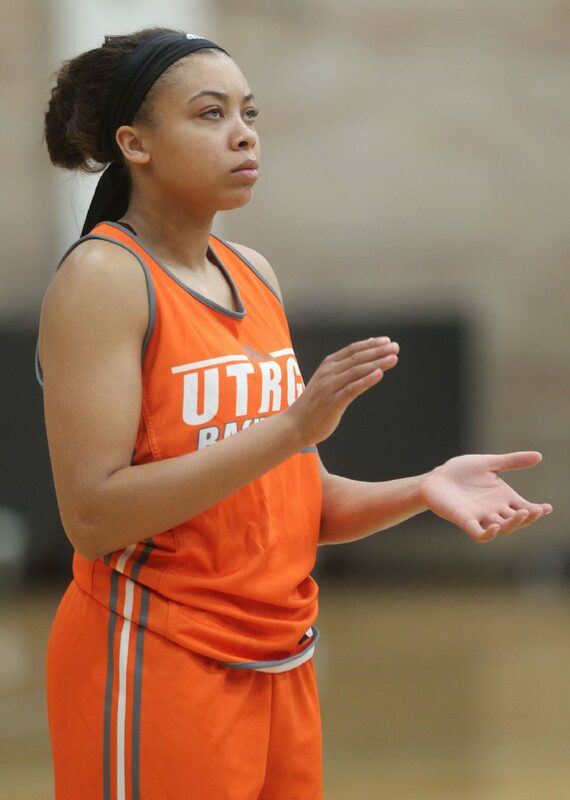 Meagan Johnson played well as a sophomore for UTRGV. The Australian scored 9.0 points per game and hauled in 158 rebounds, topped only by Sampson’s 183. Her mobility and ability to play forward or guard will help with depth in Lord’s first season. Forward Madison Northcutt is following Lord from his Pittsburg State team to play her fifth year of eligibility. Standing at 5-foot-11-inches and hailing from Wichita, Kansas, Northcutt says she loves to study film and aspires to be a coach one day. She hopes to be an impact and a liaison between the returners and the new system. UTRGV will wrap up its two-game homestead to open the season Monday against Texas A&M-Corpus Christi. The Vaqueros head out to their first road trip starting with UTSA on Wednesday. Non-conference will end with a bang as UTRGV will test its mettle against top-tier in-state competition. The Fieldhouse will host Big 12 powerhouse University of Texas on Dec. 20 before UTRGV travels to College Station to face Texas A&M on Dec. 29 and the Baylor Bears on New Year’s Eve. WAC play begins at home against California Baptist on Jan. 5 to mark the first action in 2019.